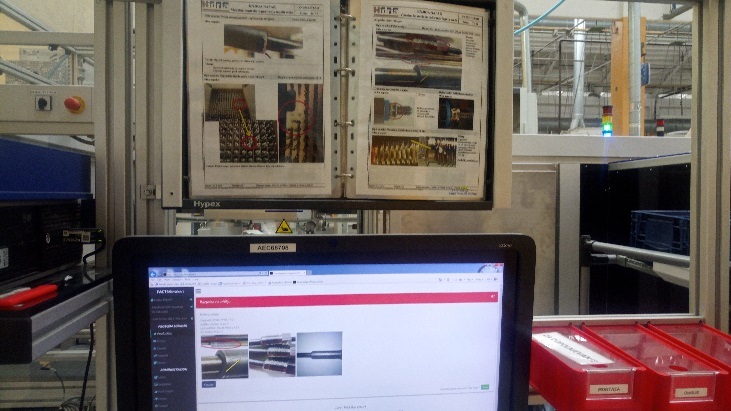 After implementing all user requirements, the final version of the FACTS4WORKERS solution was successfully deployed at thyssenkrupp Steel Europe in Duisburg, Germany. To assist the workers of the HVAC maintenance unit, an information system was developed that focuses on the users’ needs. Providing the workers with the required information allows to speed up the information gathering and prevents error. To maximize flexibility, the software is deployed locally and made available via tablets. This way, the workers can request all needed information at any place and time. 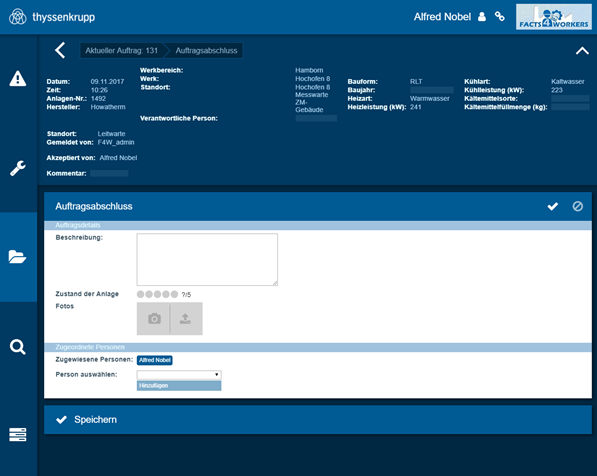 The use case encounters four scenarios with the objective to improve the current work situation for the shop floor workers at thyssenkrupp. These scenarios have been identified as the main issues that prevent a fast, effective, and for the worker satisfying processing of maintenance tasks. 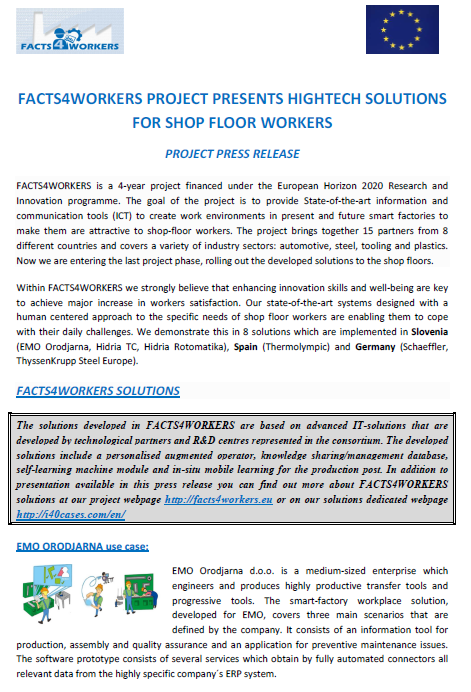 A deepened description of the UC can be found at FACTS4WORKERS-TKSE . 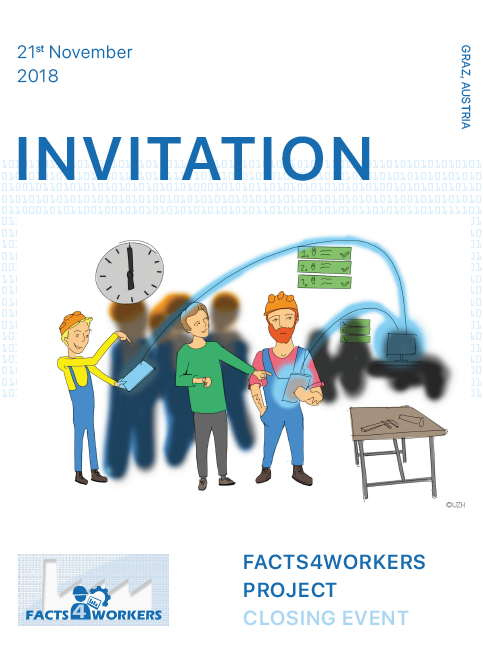 The FACTS4WORKERS solution has been developed by TU Wien based on a comprehensive requirements analysis conducted by University of Zurich. After the deployment, the system was evaluated by the Knowledge Management division of thyssenkrupp with assistance of ITAINNOVA. The system architecture is based on a modular concept that uses the container technology for separating the FACTS4WORKERS software from the company’s IT environment. Rather than using a monolithic software, different micro services are working together to create a powerful application that satisfies the user requirements. The individual services are wrapped into Docker containers and made available through a defined interface. This concept also allows to further develop the system continuously by replacing the individual containers with newer versions. The evaluation of the deployed solution clearly shows the benefits for the shop floor workers. All workers using the solution stated that the application’s functionalities satisfy or overfulfill their demands. Further, they are looking forward to use the extended version of the system that is currently developed as integral part of the companywide ERP system.